President Obama said today at the White House Conference on Bullying Prevention that even a future president doesn't escape the taunts of bullies. "I have to say that with big ears and the name that I have, I wasn't immune. I didn't emerge unscathed," the president said. Mr. Obama, who hosted the conference at the White House with First Lady Michelle Obama, added that he had childhood memories of other kids being bullied. "As adults, we all remember what it was like to see kids picked on in the hallways or in the schoolyard," he said. President Obama and First Lady Michelle Obama posted a video on Facebook today to promote a conference on bullying the White House is hosting tomorrow. "Bullying isn't a problem that makes headlines everyday. But everyday, it touches the lives of young people all across this country," Mr. Obama told the crowd of over 150 students, parents and teachers. Also present were Education Secretary Arne Duncan and Health and Human Services Secretary Kathleen Sebelius. The White House partnered with various organizations, including Facebook and MTV, to spread its anti-bullying message. 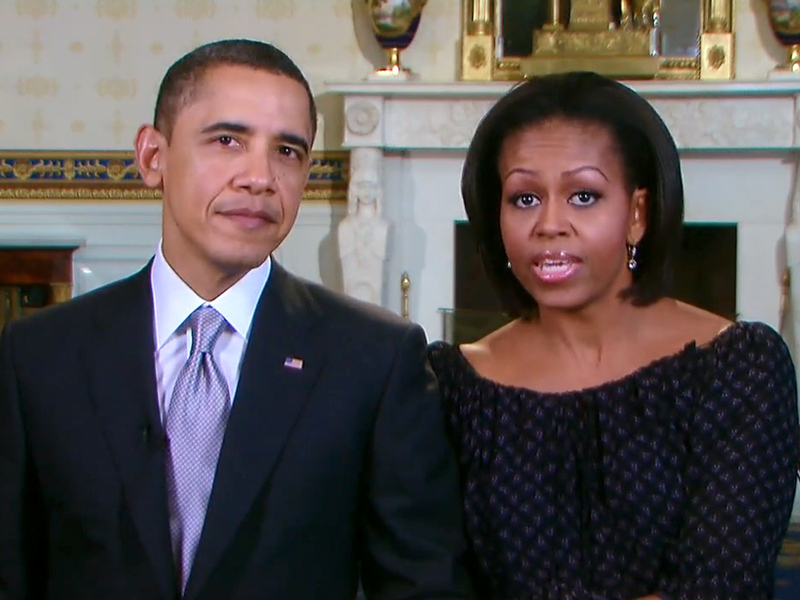 The president and first lady also recorded a message on bullying prevention shared on Facebook. This was not the first time Mr. Obama has addressed bullying. In October 2010, after several young people had taken their own lives after being bullied for being gay, the president recorded a video message as part of the "It Gets Better" campaign.